The recipe for these Simply Perfect Pumpkin Muffins has been my go-to classic pumpkin muffin recipe for years. Lovely and moist, perfectly domed and with a lightly crispy top, they are my idea of the perfect pumpkin muffin. When it comes to pumpkin muffins, I’m a purist. 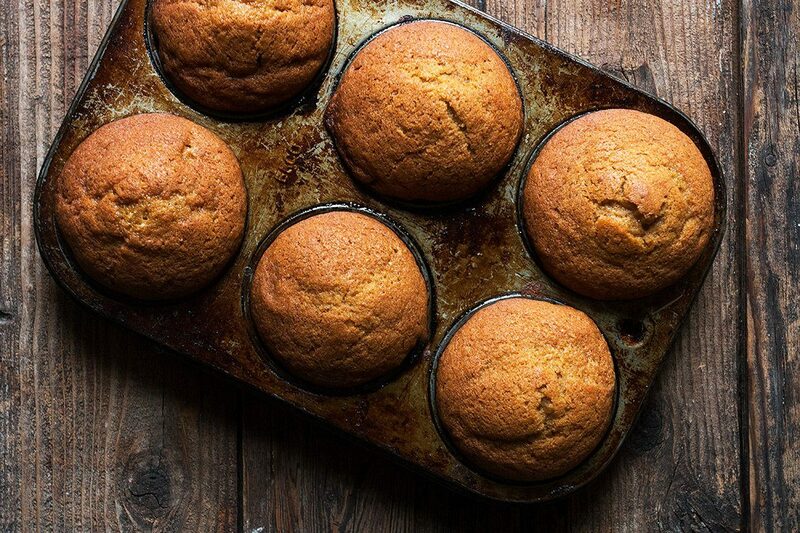 My go-to pumpkin muffin recipe for years has been these Simply Perfect Pumpkin Muffins. They are what I crave when the weather cools. Slightly warm. With butter. And a cup of tea. So what makes this muffin simply perfect? It’s perfectly pumpkin, but simply spiced (just a good spoonful of cinnamon), so no worry about different tastes in spices or spice levels. It’s lovely and moist, but not greasy like some pumpkin muffins. It has a lovely light texture. It’s perfectly domed, so it’s always pretty (and pretty counts!). And finally, it has a lovely, lightly crispy top when enjoyed freshly baked. Perfect for pulling of pieces to enjoy. As mentioned, these muffins freeze beautifully! As also mentioned, the yield of 18 muffins may be tricky for some. I use three 6-cup muffin tins that just barely fit side-by-side one one rack in my oven. A 12 and a 6 would also work, of course. If you need to bake two batches using a 12 cup muffin tin, be sure to fill the empty muffin cups half full with water before putting in the oven, to ensure even baking. I especially love these muffins freshly baked, when they have a lightly crispy top. While the crispy top diminishes as they sit, the muffin itself is still lovely and moist and every bit as enjoyable. When filling the muffin cups/liners, you’ll be filling them to almost the top of the liner, leaving just a bit of the liner exposed. 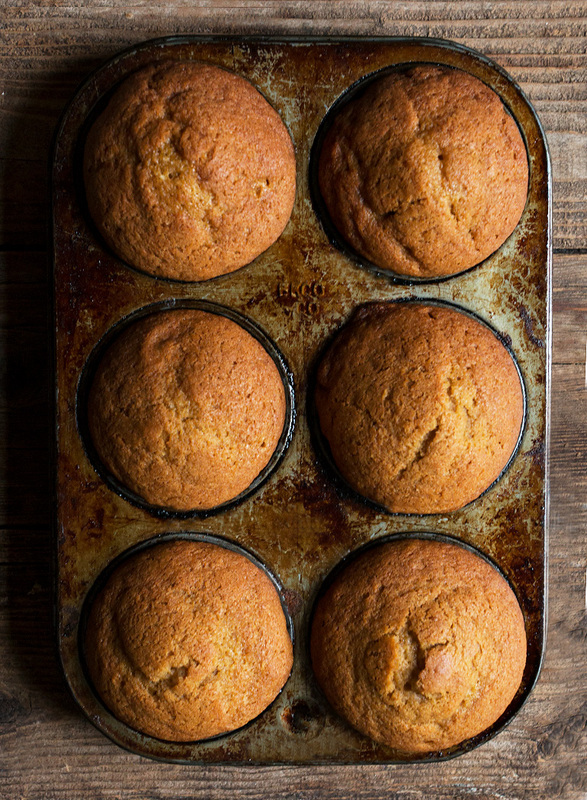 If you divide the batter evenly between 18 muffin liners, you’ll have the perfect size. Be sure to spray/grease the top of your muffin tin before lining and adding batter, so these large muffins release easily. I always line the muffins cups with muffin liners, but if you don’t have any, as there is a good amount of oil in these, you probably could bake without paper lines without problem. Just allow to cool in the pan a little more before removing. If you’re a raisin in pumpkin muffins fan, feel free to stir in some plumped raisins (see below!) before adding the batter to the tins. When adding raisins to baking, it’s always nice to plump the raisins before adding. The process of plumping simply returns some moisture to the dried fruit and makes them especially pleasant and soft. To plump raisins, simply soak in very hot tap water for about 15 minutes, then drain and dry well between a couple of sheets of paper towel. If you’d like to infuse flavour while plumping your raisins, add a bit of alcohol or liqueur to the soaking water. 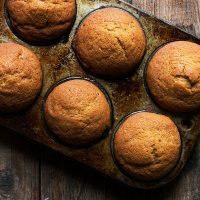 These are my favourite pumpkin muffins – tender and moist, with a crunchy top and perfectly pumpkin. Preheat oven to 375° F. Prepare 18 muffin cups by greasing (both cup and top of tin) or lining with paper liners and lightly greasing top of tin. (These are fairly moist so paper liners are not really necessary unless you prefer.) Set prepared pans aside. Divide the batter between 18 muffin cups. You'll be filling them almost to the top of the liners, with just a bit of the liner showing. 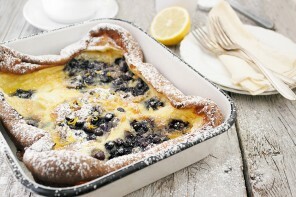 Allow to cool in pans at least 5 minutes before removing from pans, as they are quite soft when hot. These are at their best on the day they are baked. They lose their crunchy top as they sit too long at room temperature. If you aren’t eating right away, freezing is a good option to keep the crunch. I miss October, too :) So glad you are enjoying these. Thanks! I made these muffins for the first time, and they were good. The second time: I added 1 tsp. vanilla and 2 tsp. pumpkin pie spice, and they were AMAZING! It’s a great recipe, thank you so much Jennifer!!! These are amazing! I added a cup or so of gently crushed pecan nuts and they were awesome! So glad you enjoyed them, Sarah :) Thanks! I had pumpkins I wasn’t able to carve for Halloween so I cooked them and pureed them. Not wanting to make generic pumpkin pie I searched high and low for a basic simple pumpkin muffin recipe. Low and behold yours was the winner. So simple. I had to double the recipe as I was short 1/4 cup of puree from what id thawed already so I made a tonne of minis along with the normal size. 10-12 mins for the minis seems sufficient to give them a nice golden brown colour! Huge hit. My husband and 1 year old daughter put back so many! My husband even grabbed a big one straight out of the hot pan because he couldn’t wait! Can’t wait to see what the real judge, my 10 year old son, thinks of the muffins when he gets home from his bio dad’s! These are wonderful muffins and so easy to make. I am a calorie counter, do you know how many calories are in a muffin. Thanks Scott and so glad you enjoyed them. My recipe card software calculates the calories to 202 (it’s displayed in the header of all the recipe cards as “Energy”). I would suggest running through your favourite calorie counting tool yourself though, as I can’t vouch for the accuracy (and would depend on how many muffins you got from a batch). 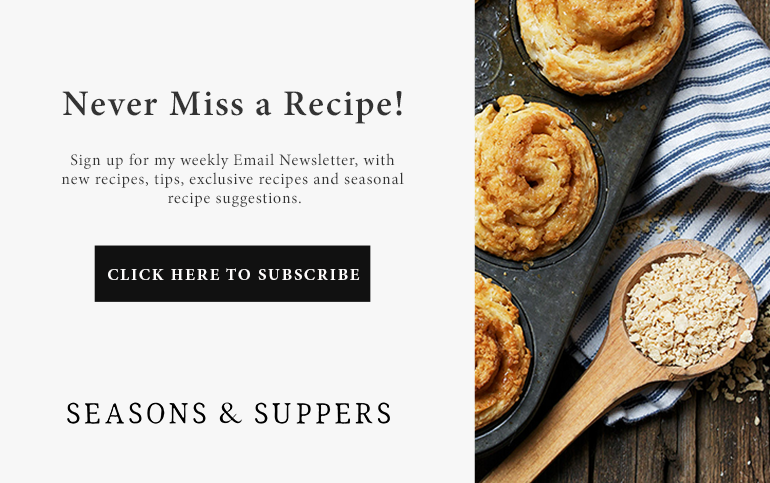 Thank you for this amazing recipe- I have been making these muffins constantly since finding it- always a hit in my house! So glad to hear, Nicole :) Thanks! These are fantastic muffins! And easy to make! I made these last year and they got rave reviews from the recipients. Decided to repeat this year with same comments! Made 6 regular muffins (for us!) and 48 mini muffins. So glad you are enjoying them! These are the only pumpkin muffins I ever make :) Thanks! Lovely recipe. I had a can of pumpkin in the cupboard that I needed to use. Now I have bought more canned pumpkin just to make this recipe (plus my cat loves pumpkin). The muffins were very light and moist and tasty. Sorry Jennifer, in my previous comment I forgot to ask how many raisins do you recommend adding to this recipe? I plan to try this delicious sounding recipe. I love the idea of adding raisins that have been plumped up with added alcohol or liqueur. Can you recommend what alcohol or liqueur would taste best with pumpkin and how much of it to add with the hot water? Hmmmm … my first thought was some sort of nut-based liqueur (maybe hazelnut), or there’s the maple one (Sortilège) or some more basic ones – rum or whiskey. Depends on your taste :) Enjoy! I have to admit that I did modify your recipe just a bit to suit our tastes. I added some golden raisins and some additional spices – cloves, nutmeg and ginger. Having said that the recipe is amazing! Moist, wonderful texture and I couldn’t believe that rose so high…… they looked like I picked them up from the bakery. Thank you so much for the recipe. Not only is it a keeper, it will be made on a regular basis! So glad you enjoyed these, Sherri! I make these with raisins every now and again. I love the combination. Thanks! First time making pumpkin muffins and they turned out perfect. Keeping this recipe forever, no need for another! Thanks! Made these this afternoon…..highly recommended recipe! So glad to hear, Sandra :) Thanks! I’m making these muffins and noticed no salt in the ingredients. 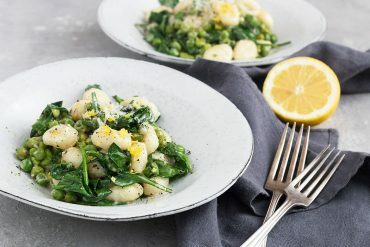 Is this recipe meant to be without salt? Hi Sandy, no, it wasn’t overlooked. There is no additional salt needed in this recipe. I just made 36 muffins and they turned out great! I will definitely make these again, since I have a lot of pumpkin puree in the freezer. P.S. Can’t wait to try the Spiced Pumpkin Biscotti. Call me a skeptic, because I’ve made dozens of pumpkin muffin recipes and found most of them to be tasteless, but I’m a convert now. Disclaimer: I did add 1 tsp of vanilla to bring out the flavours and 1/4 tsp of salt to activate the baking soda. I also plumped up some Craisins to add. These muffins were the best Pumpkin Muffins I’ve ever made. Period. These look delicious! I would love to make these however daughter has an egg allergy. Could these be made using an egg replacer (ie. the boxed kind)? Hi Anne, I’m afraid I have no experience in baking with egg replacer. If you’ve used it successfully in baking before, then you should have no issue using it in these muffins :) Let me know how it works out! These were great. Only problem is, bow to stop after two. Lol! Yes, that is my problem, too :) Thanks! 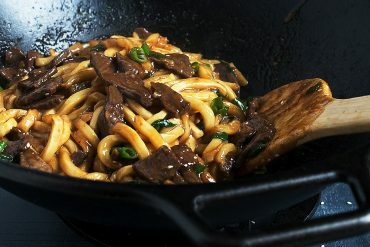 My husband and I loved this recipe. Thank you! I added 1/2 teaspoon each of ground cloves and nutmeg which was also really nice. My kids carved a pumpkin for Halloween so I kept the insides and pureed them and used it with this recipe, it turned out absolutely perfect and they smell soooooo good. I also made some cream cheese icing for them! Thank you so much for this simple recipe! Made these tonight. They were yummy! But they definitely made more than 18 muffins. I might of made 24 muffins but I had already filled my 12 and 6 muffin pans. So the rest of the mix in my mini muffin pan. I baked those for 10 minutes and they were perfect. Thanks for sharing the recipe! So glad you enjoyed these! And you are the second person to say that about making more than 18, so I will adjust my yield, for sure. I always get 18. Maybe my muffin cups are bigger ;) Thanks! These are every bit as delicious as they look and equally as easy. I followed the recipe exactly as written but I somehow ended up with 24 muffins, and rather large ones too! I’m certainly not complaining, and neither I should anyone else around here. Thanks for sharing! 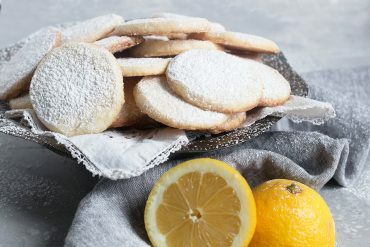 I just made these – delicious! I have to admit, I did pumpkin spice them up a bit with cloves, nutmeg and allspice. What can I say, I’m a slave to fall! Have you ever tried these with fresh pumpkin? So glad you enjoyed these, Sharon and definitely don’t blame you spicing them up :) I haven’t tried these with fresh pumpkin. We don’t see a lot of pie pumpkins around here. These are in the oven right now. Can’t wait!! I am definitely getting these on my baking list Jennifer! They look so easy and delicious! I bet they’ll be a hit all fall long! 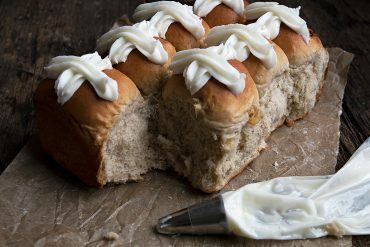 Thanks Milena and I love the idea of honey butter on these! I don’t think I’ve ever had a pumpkin muffin! Crazy I know! But, to be fair (to myself), I didn’t care for pumpkin much until this year… it seems like my taste buds have finally accepted people are crazy about pumpkin and I should be too! 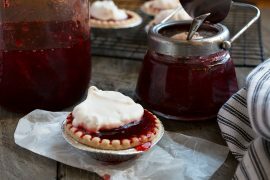 ;) I definitely need to try these because they look seriously delicious, Jennifer! These are probably JUST the think I need to hop on board the ‘I love all things pumpkin spice train’! Cheers, friend! 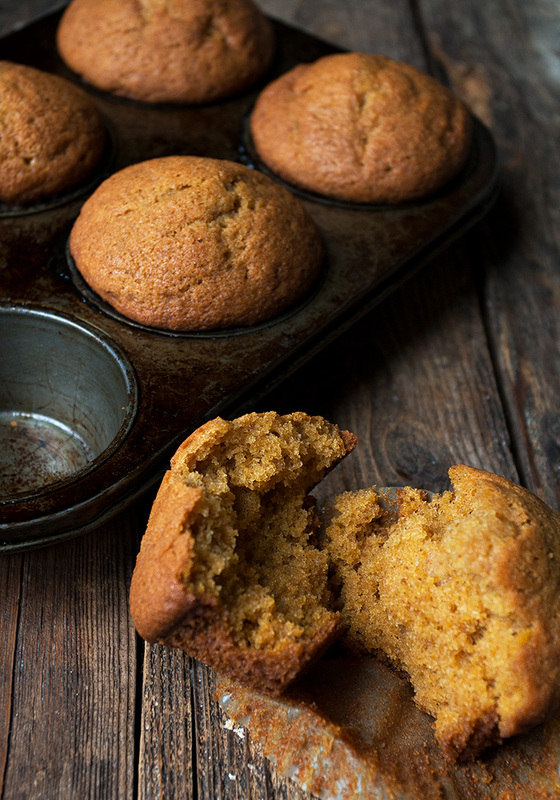 I adore pumpkin muffins and these look absolutely perfect! I love muffin tops, the best part of the muffin, in my book! 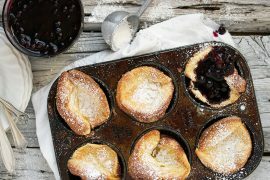 Any tips on adapting your lovely-sounding recipe for a muffin top pan? Thank you! Hi Beth, I must confess, I’ve never used a muffin top pan. All my life I’ve just enjoyed muffin tops by ripping the top off the muffin :) That said, I think these would bake up beautifully in a muffin top pan, with only the baking time changing. As for how much baking time, I honestly don’t know, so you’d have to keep an eye on them. Look for them to be very lightly browned around the outside edges. Thanks Jennifer! If I give it a try, I will be sure to post how it went. I’m with Sue! I can’t stop looking at the incredible texture of these muffins. The beautiful dome top, the lovely color – these are fall perfection! I’m mesmerized by these shots, Jennifer, they scream fall…sharing and pinning! 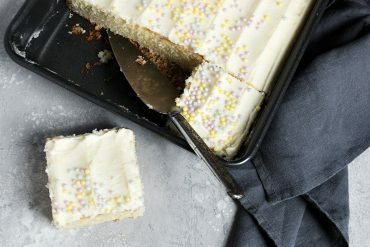 These look so moist and, you’re right, perfect!! Pinning and sharing!